Thailand Archives | It's a Drama! 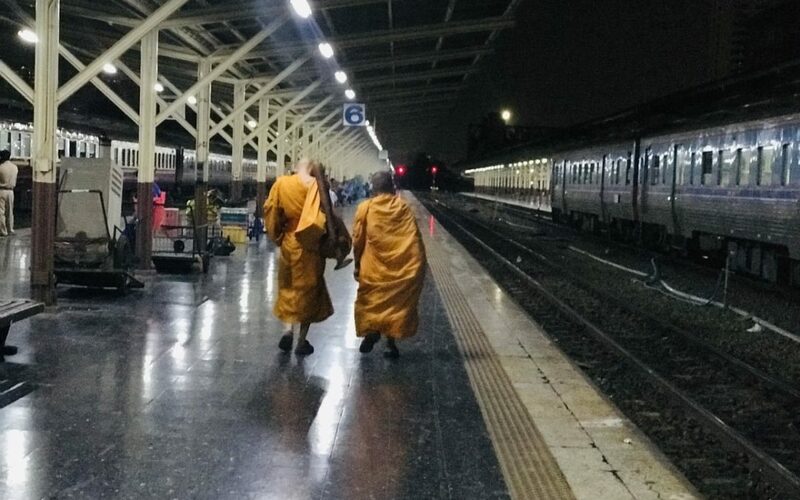 Overnight Train from Bangkok to Chiang Mai. What They Don’t Tell You. If you are looking for ways to travel from Bangkok to Chiang Mai then you have a few options. Your choice will depend on your time limit, your budget and finally (and it’s a biggy) your sense of adventure. Listen to this honest review on the overnight train Bangkok to Chiang Mai and decide which category you fall into. 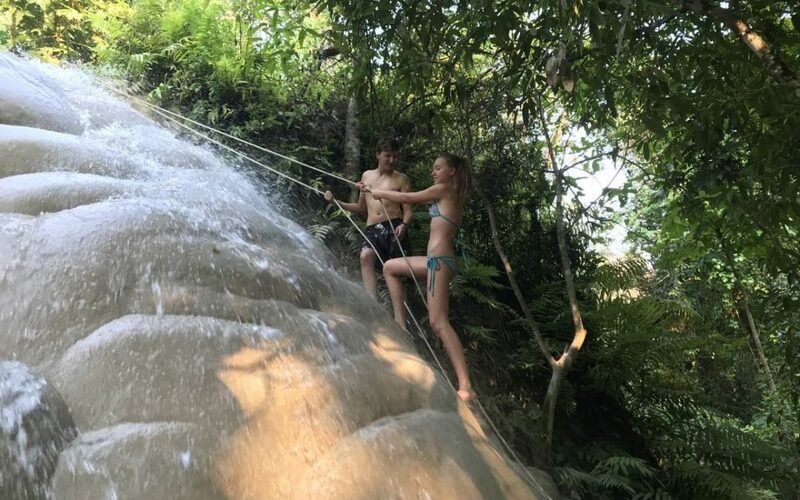 The Sticky Waterfall in Chiang Mai. A Bizarre Experience! Chiang Mai is an enchanting and beautiful city in Northen Thailand. A university city that buzzes with excitement and possibility together with a wonderful coolness inviting you to relax and take it easy. It is a city that holds many strings to its bow – one of those being The Sticky Waterfall, also known as Bua Tong Waterfalls. My family and I arrived in Chiang Mai after a long and sleepless night on the overnight train from Bangkok. It was hot. Very hot. We were all desperate for some cool shade and a place to relax – without spending a fortune. We spoke to a few locals and found the answer we were looking for. 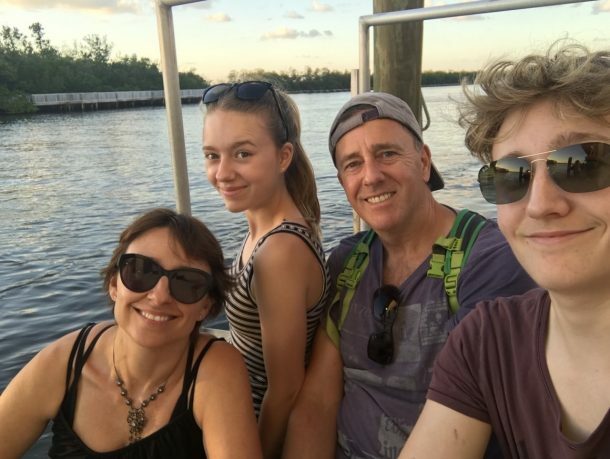 I’m Liz, a lifestyle and travel blogger and this is my family. 2019 Update! Last year we finally did what we had talked about for sixteen years. 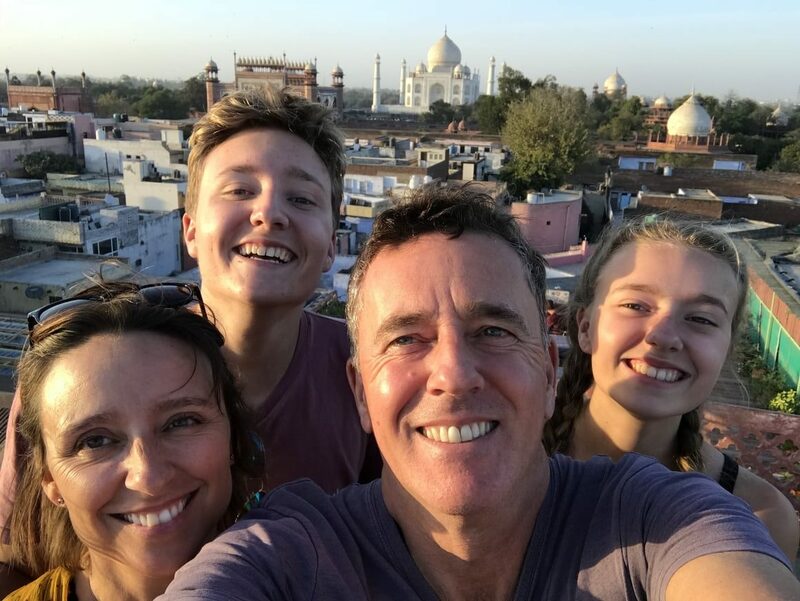 We took our two kids (teenagers) and backpacked around the world with them. We slept on strangers couches, visited places that I’d only ever dreamed of, ate lots of noodles in Japan and argued about how much time the kids were spending on their phones. We returned home to New Zealand in 2019 and decided that we would do everything in our power to live differently and to show others that whatever your dream you can make it a reality. We have set out to create a lifestyle that will enable us to become location independent (as much as you can be when you own 5 sheep, a dog and a cat that is apparently going to live forever) so that we can continue to travel to far-reaching places around the world and pay for my son’s wifi. We want YOU to be part of that journey. This ISN’T a blog with beautifully filtered Instagram stories, perfect parents and adorable kids. No. This is real life. Brats and all. That means me telling you that although your bits might wobble while you run to catch a train in Sri Lanka, who cares?! You are there! Living your dream! And anyway, don’t worry…I sell baggy pants in my shop – they hide a multitude of sins. Go to our start here page to find out more about us and I do hope you will join me on this quest for living outside of the box. Starting Something New. Awfully Exciting. Horribly Terrifying. Ready for a change? Travel the world and Live the life you deserve. Now! Sign up today and receive all the latest posts straight to your inbox. Plus, I will send you my FREE 5-page checklist on how to implement CHANGE into your life so that you can start to plan your next adventure right now! Almost there! Go to your email and click on the link. Linda on Starting Something New. Awfully Exciting. Horribly Terrifying. Peggy McKenzie on Starting Something New. Awfully Exciting. Horribly Terrifying. All content on this page first appeared on the family travel blog, It’s A Drama. We hold full copyright to this website. We are a participant in the Amazon Services LLC Associates Program. An Affiliate advertizing programme. To know more please read our to DISCLAIMER POLICY. We take your privacy very seriously. Please visit our Privacy Page for more information.